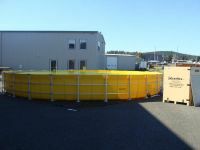 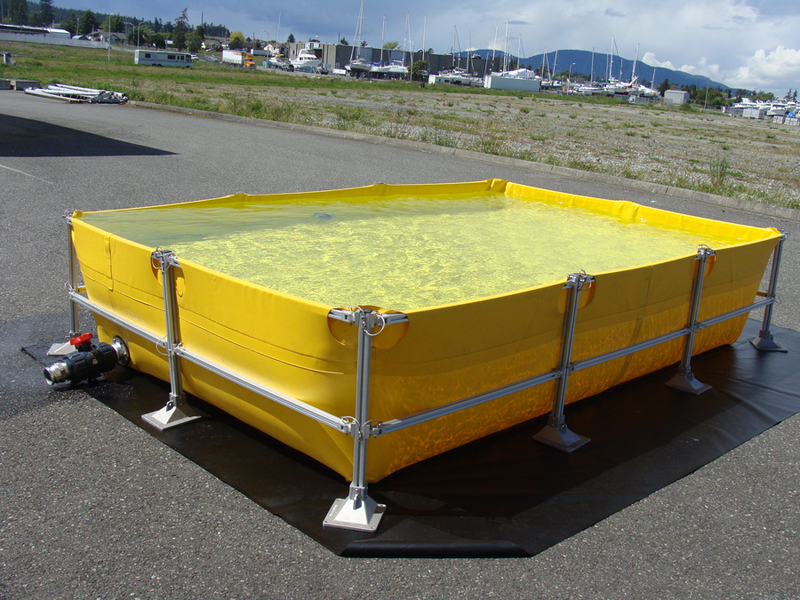 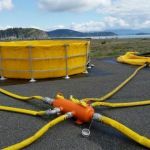 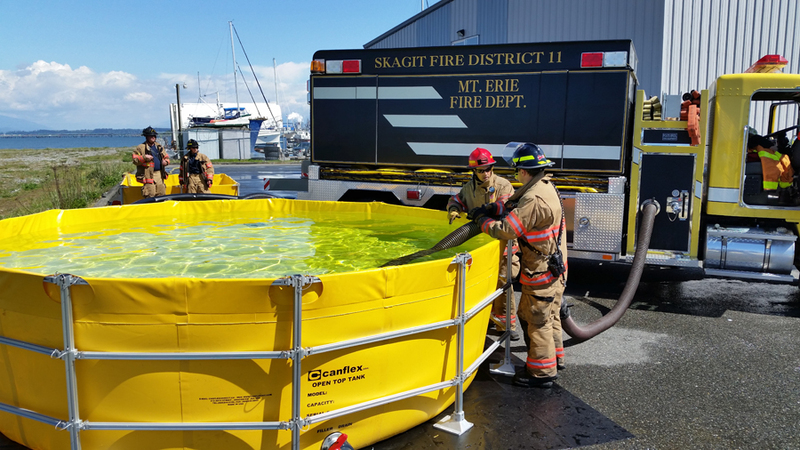 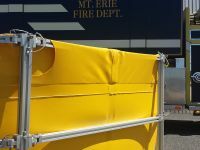 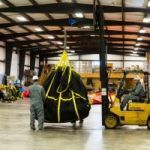 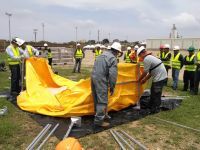 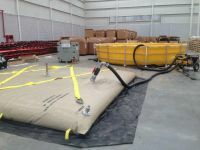 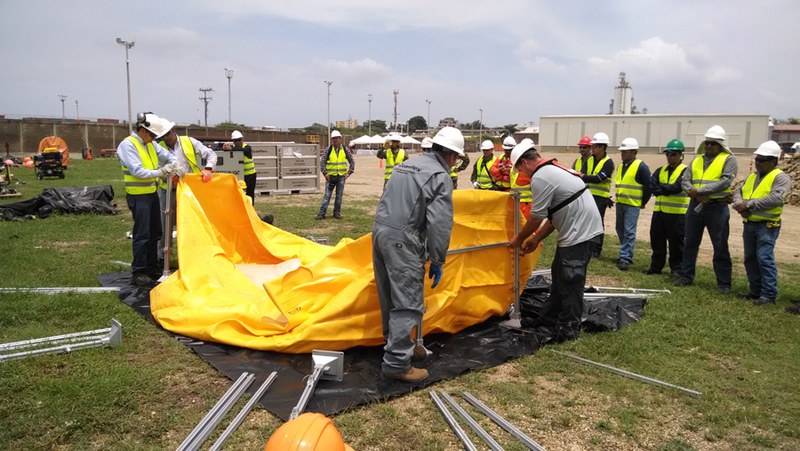 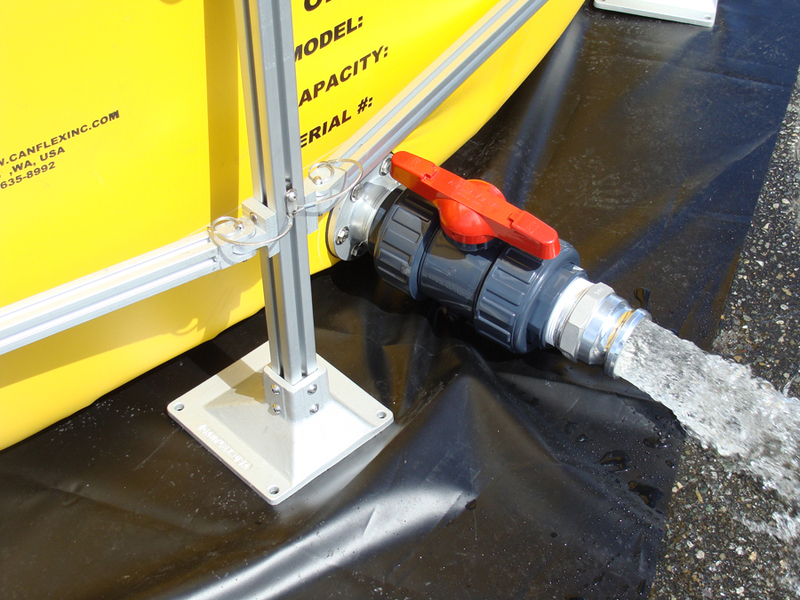 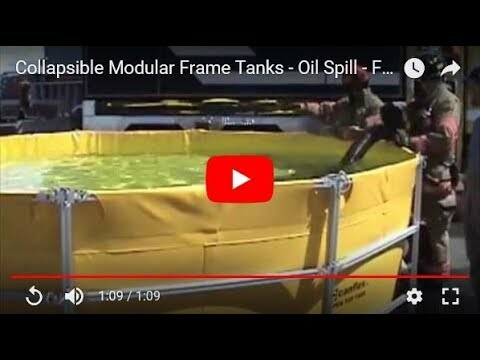 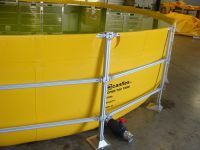 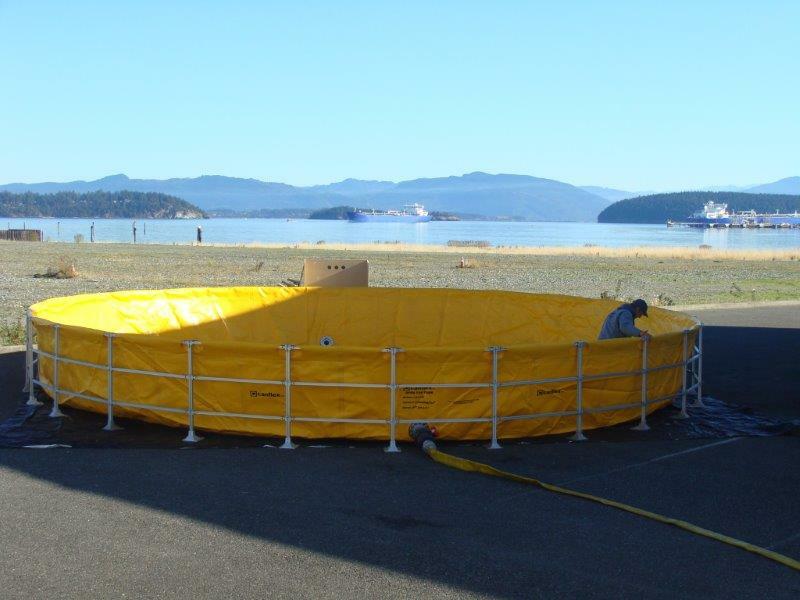 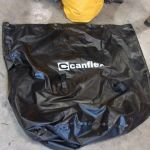 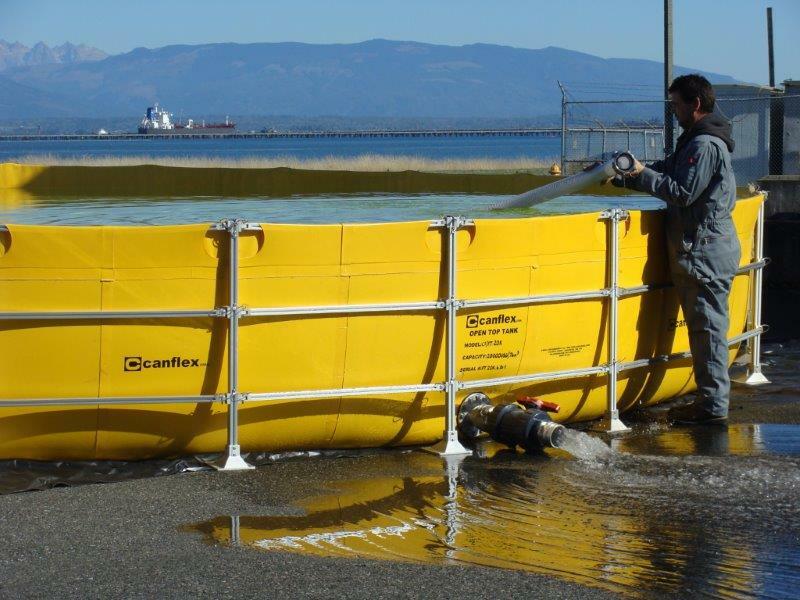 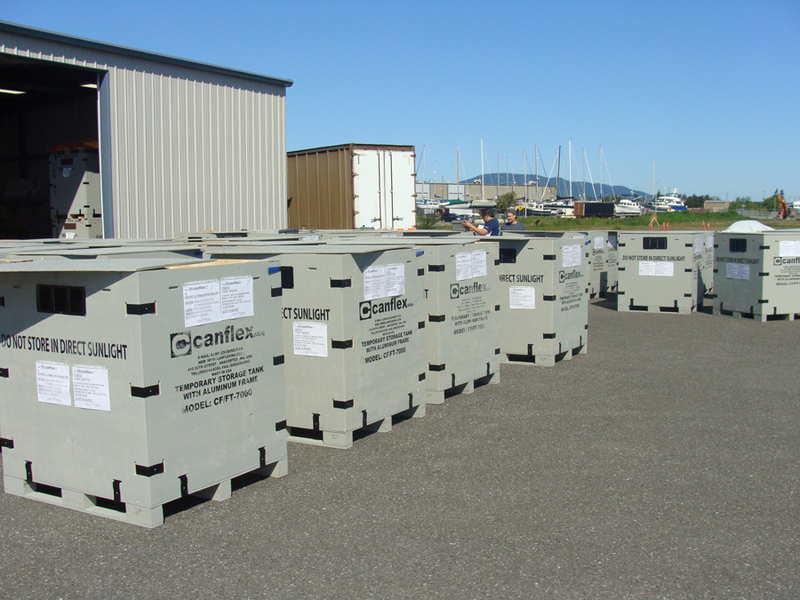 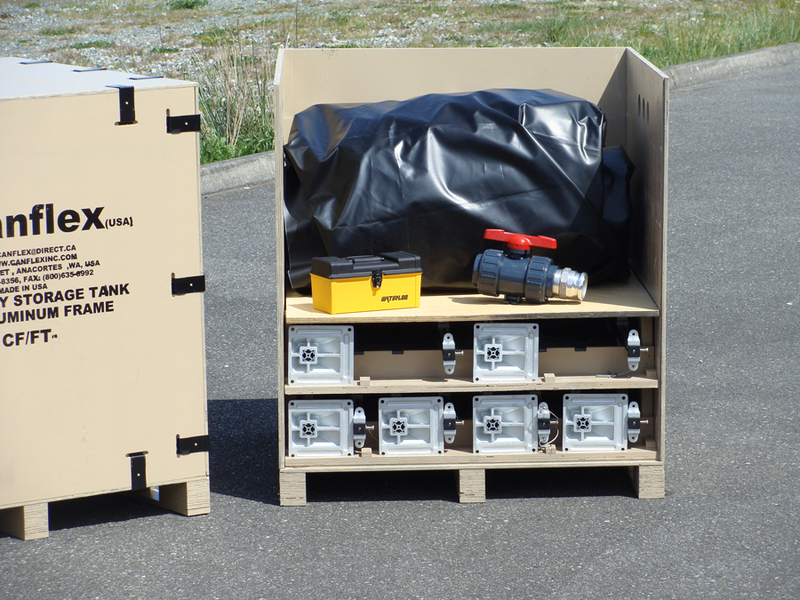 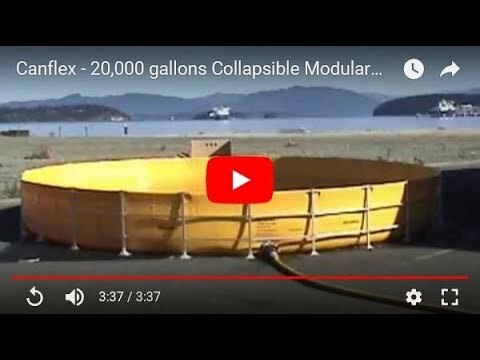 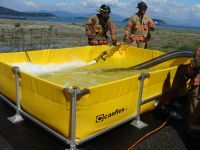 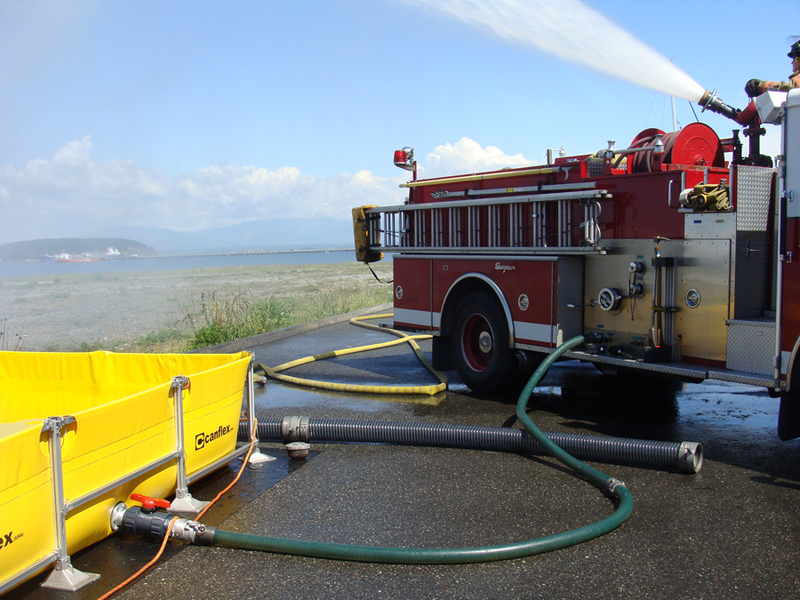 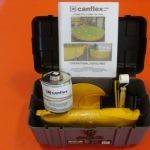 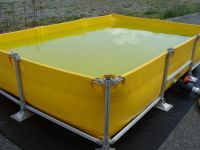 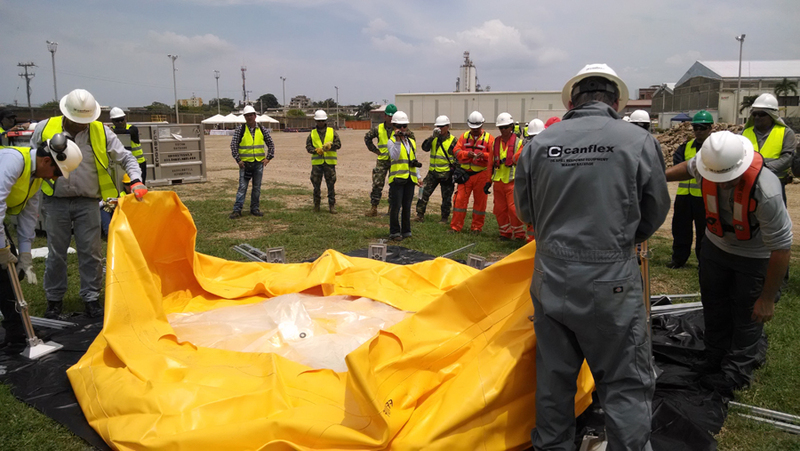 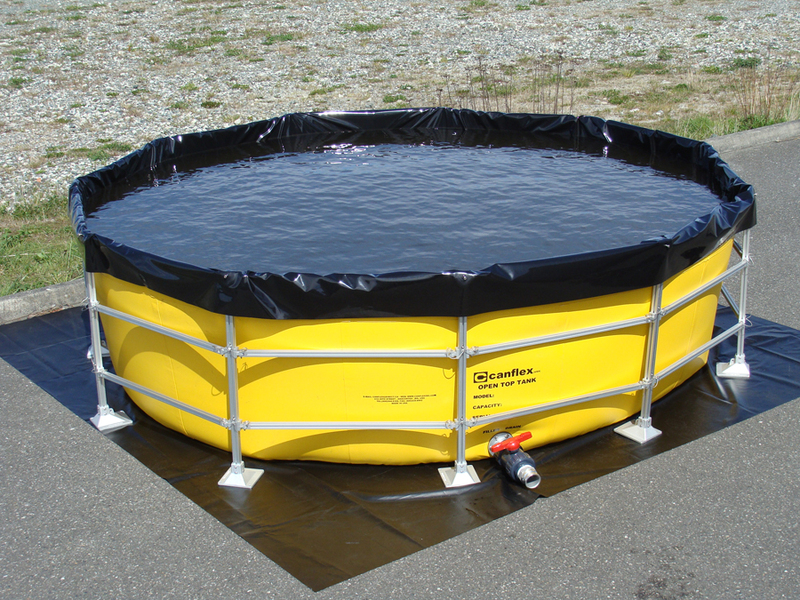 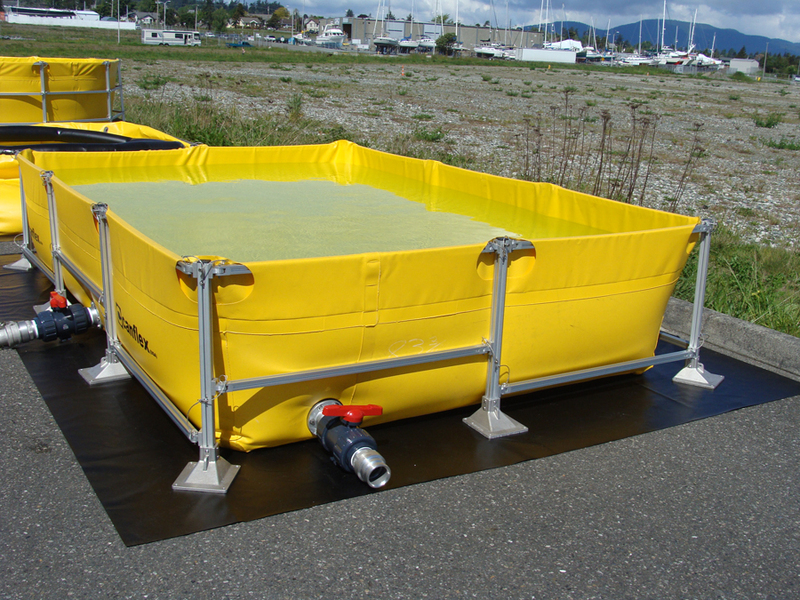 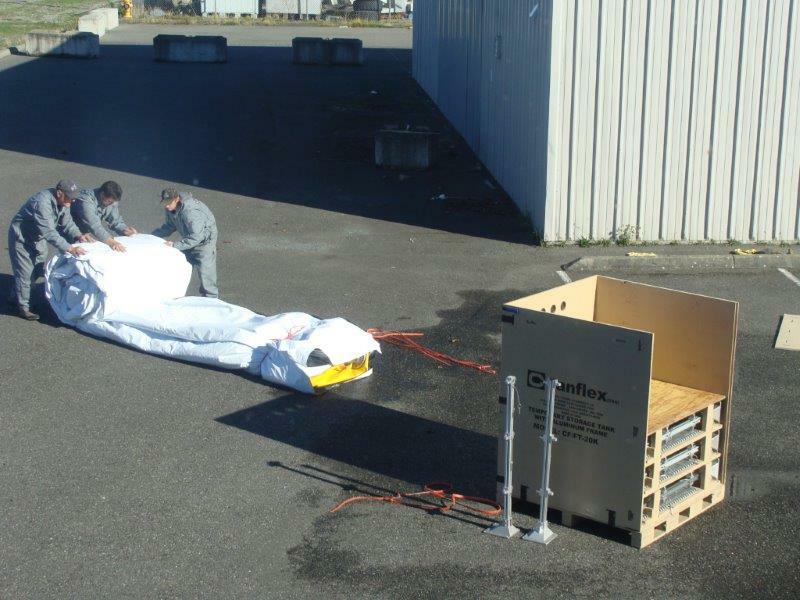 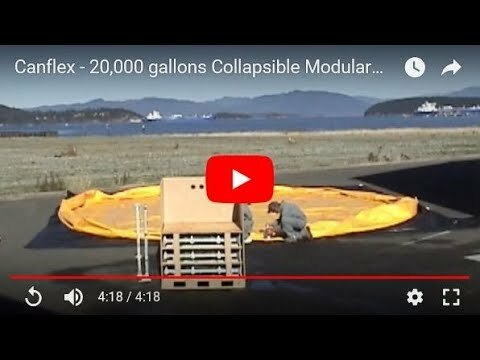 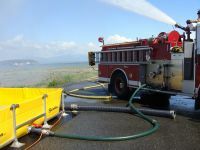 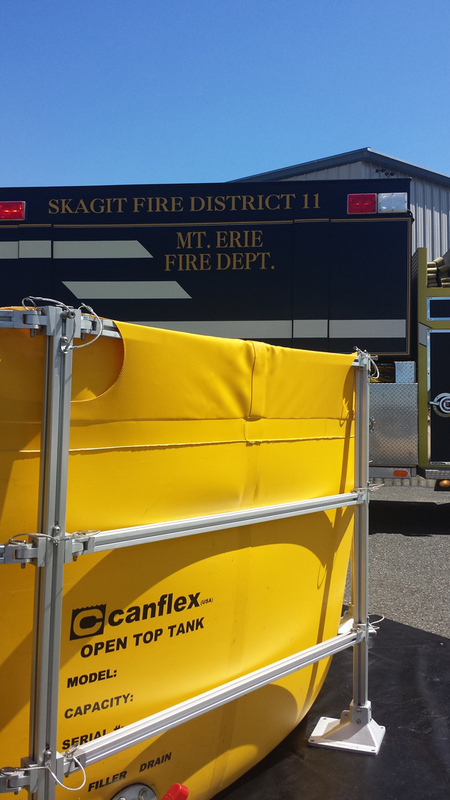 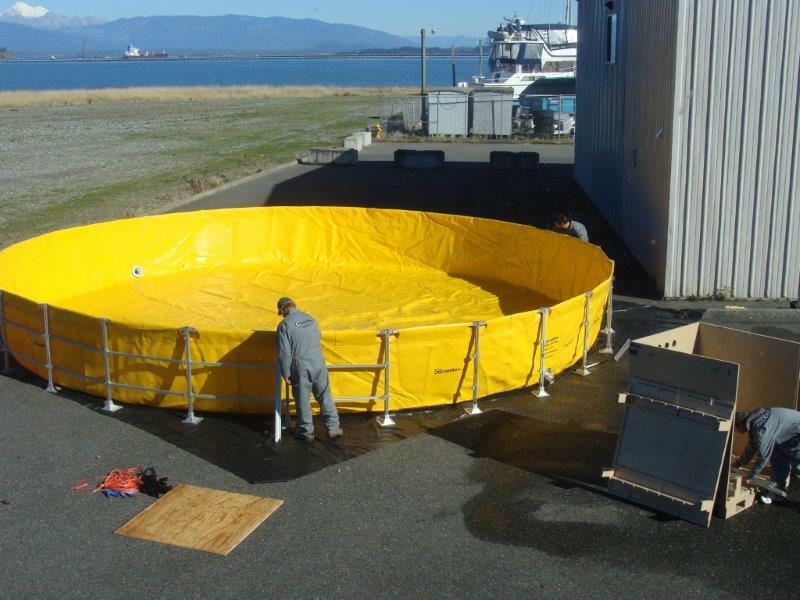 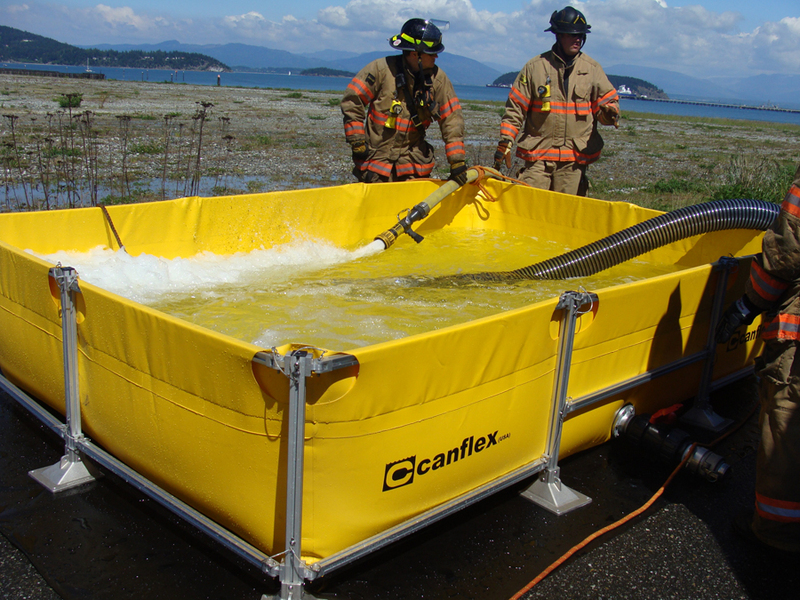 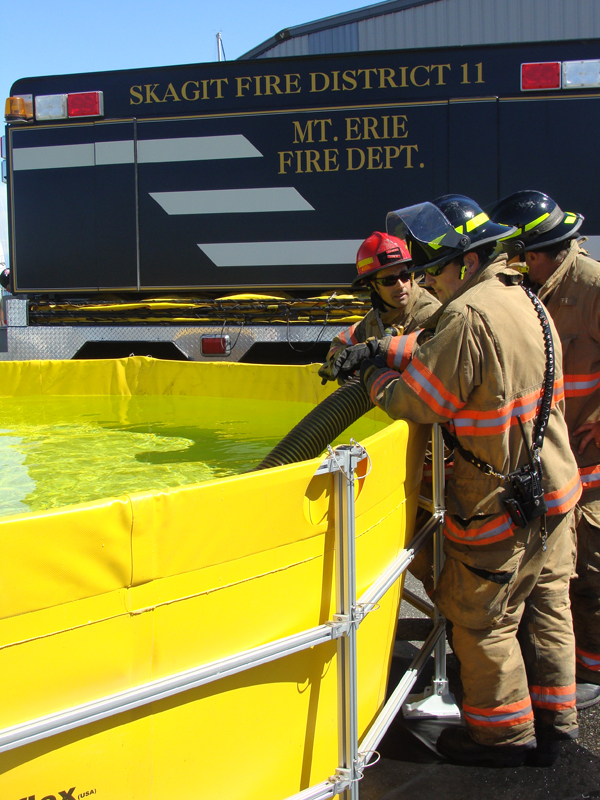 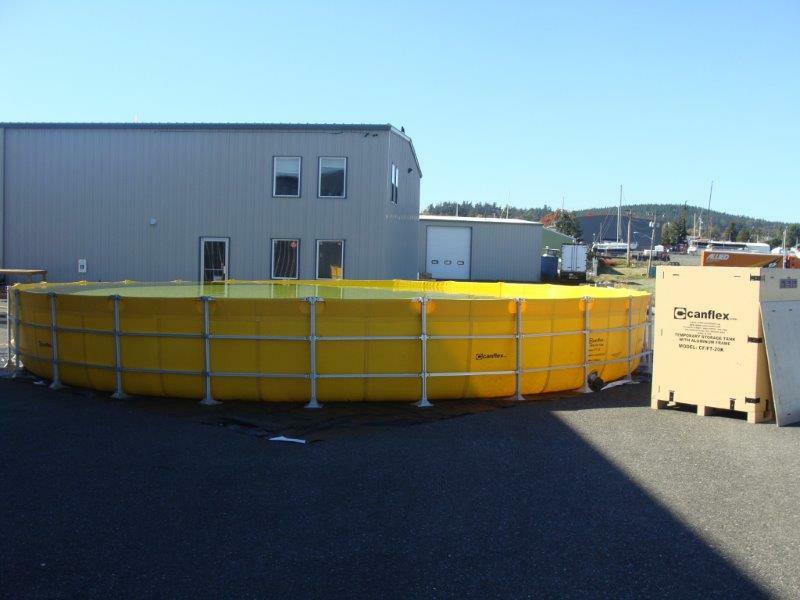 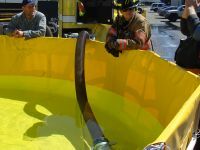 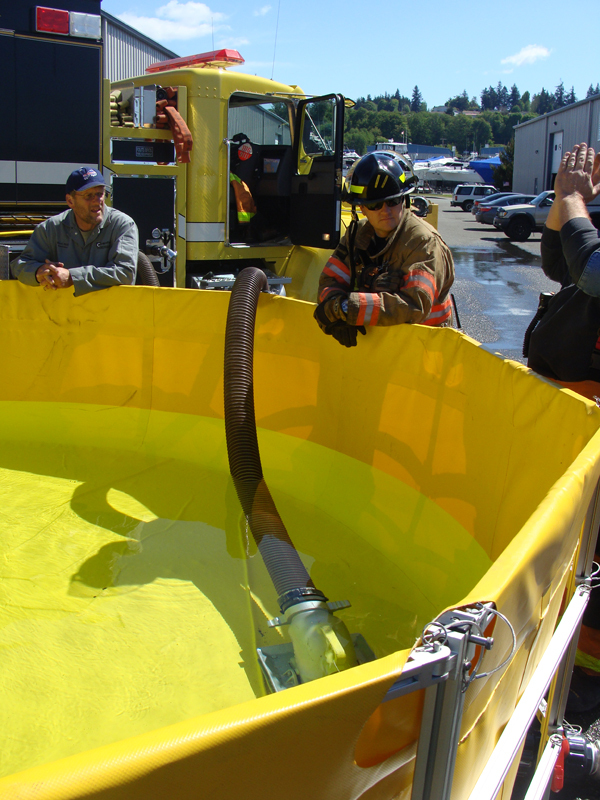 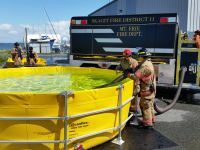 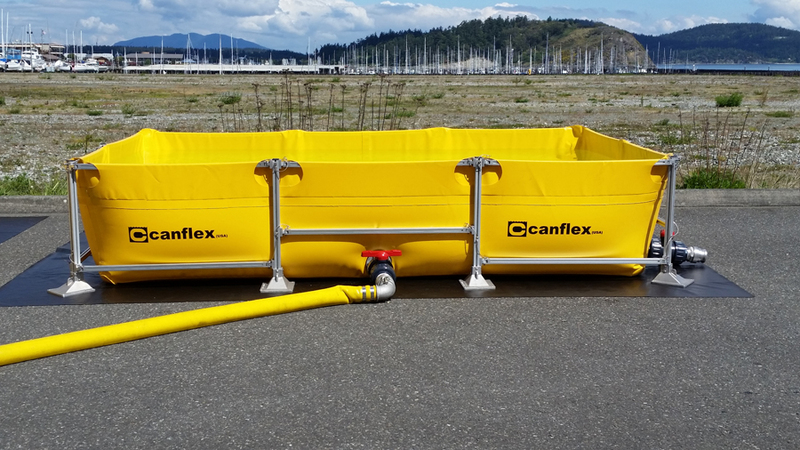 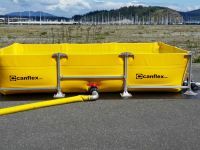 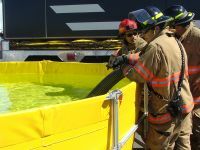 The Canflex Collapsible Modular Frame Tanks are foldable tanks for bulk liquid storage with an easily assembled (6061-T6) aluminum structure with liner, used for firefighting, spill recovery, and Disaster relief efforts. 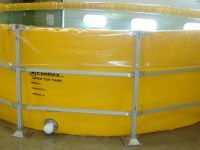 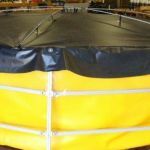 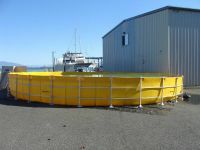 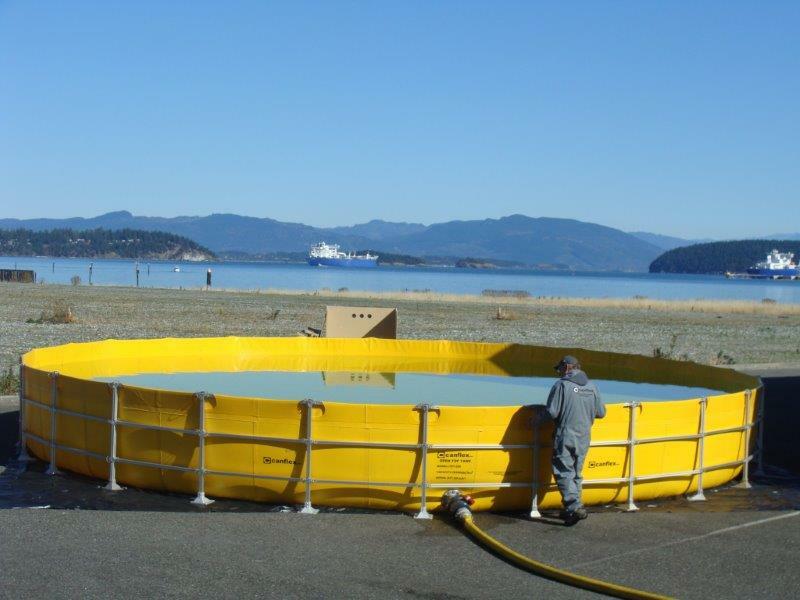 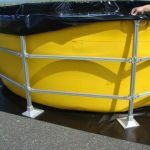 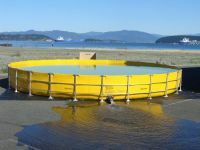 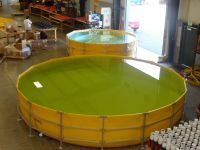 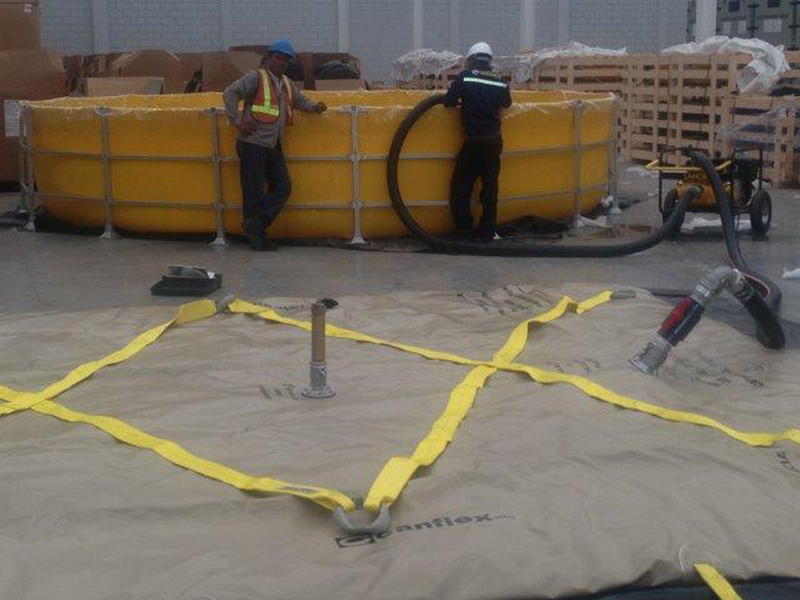 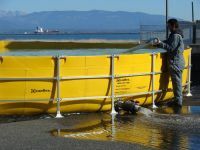 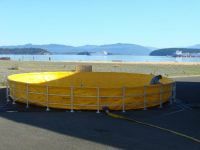 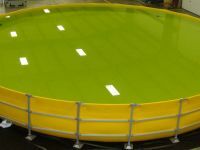 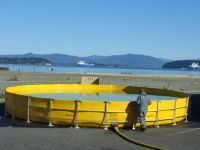 A wide range of special government approved material coated liners are available for these tanks, which can be used in many environments. 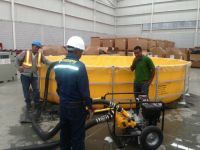 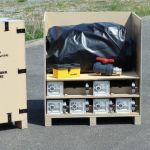 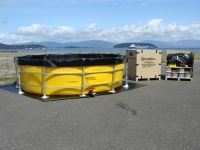 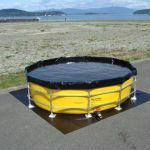 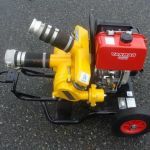 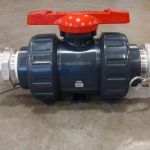 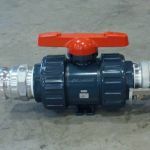 Ideal for the storage of Drinking water, Fuels / Hydrocarbons or Waste products and other essential fluids for populations effected by tsunamis, earthquakes, etc. The Frame Tanks stable design allows it to be used on virtually any landscape. 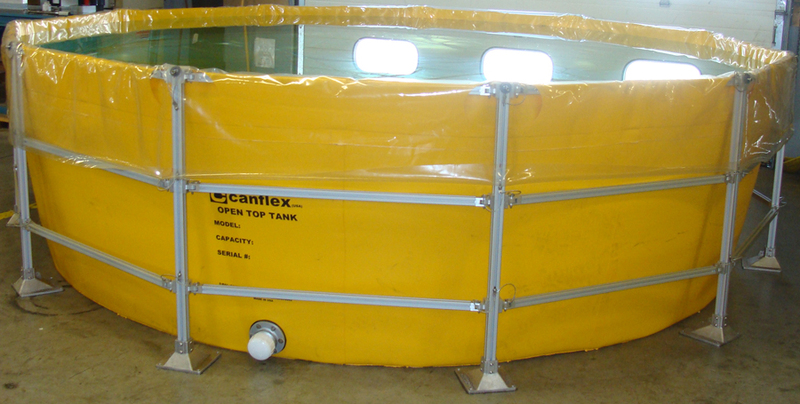 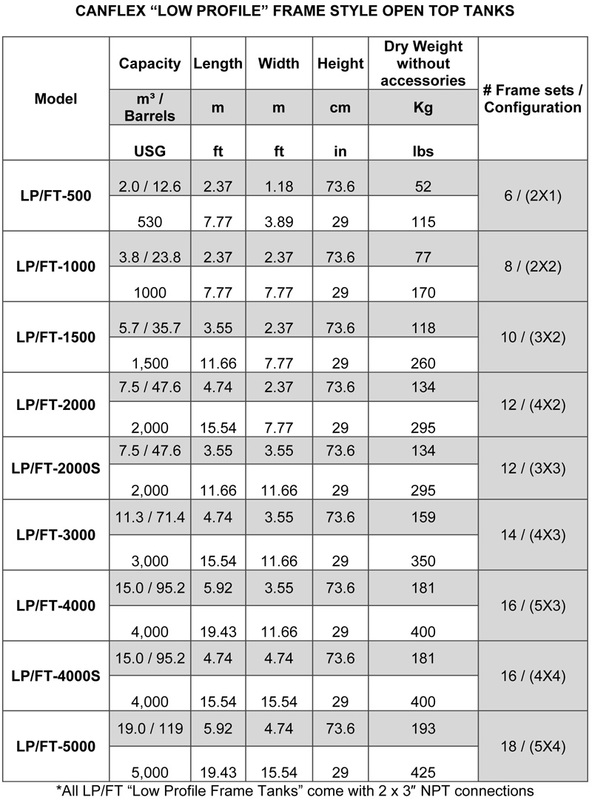 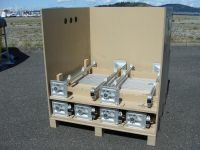 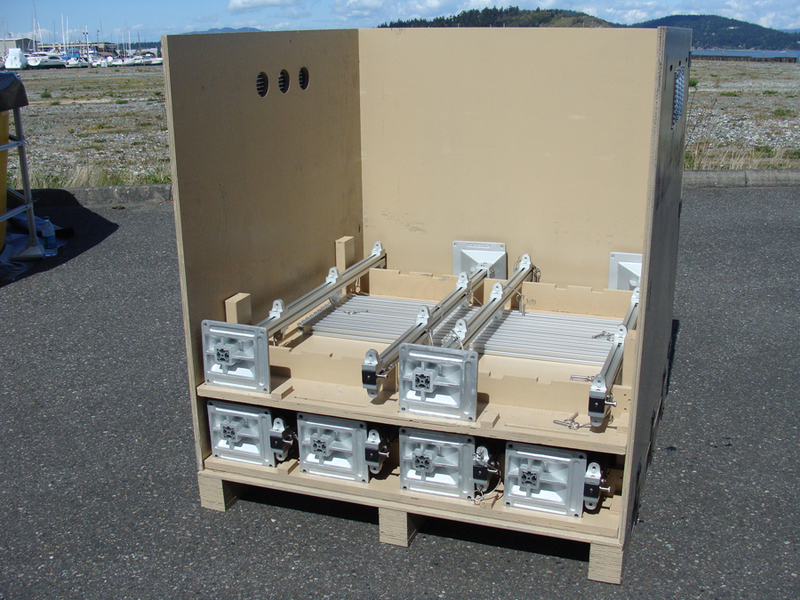 Due to the “modular” design of the tank, one set of frames can be used for many different size tanks. 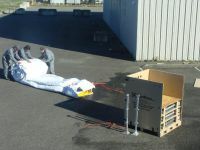 All that is needed are liners of the desired capacity. 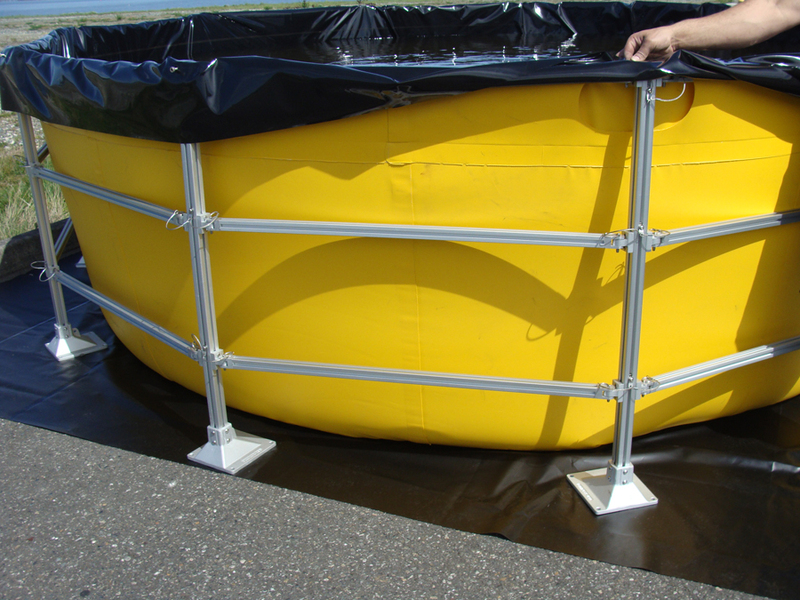 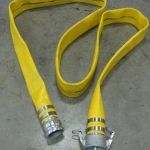 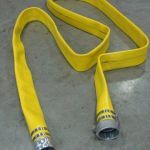 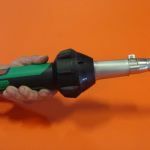 This characteristic not only makes this an extremely versatile product, but also more economical for the client. 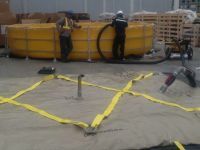 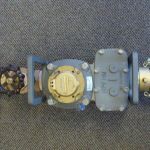 Connections are 180 degrees apart, but can be located anywhere on the tank at the client’s request. Top cover to prevent fluid contamination (optional). 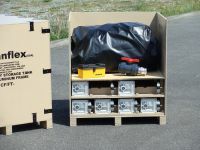 Custom Clip-Lok style storage / shipping crate. 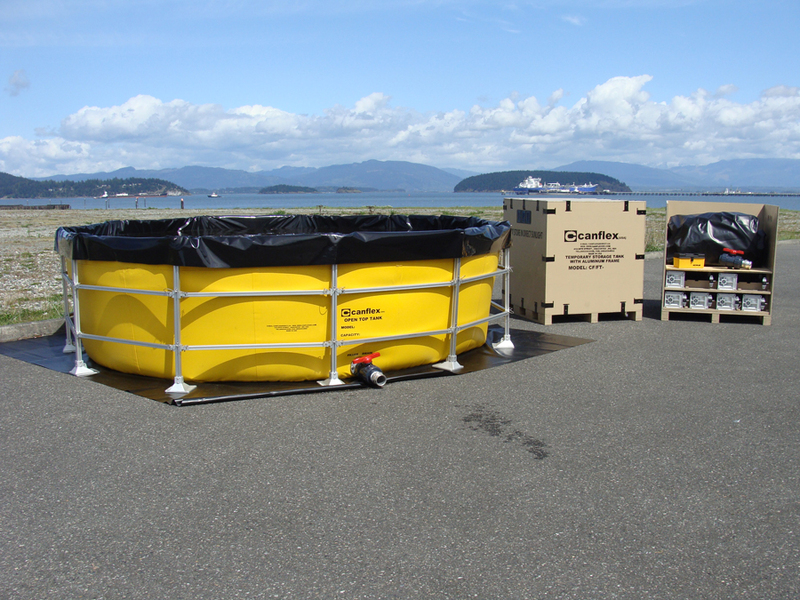 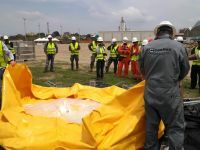 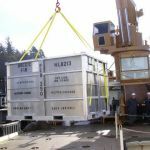 * Transport and storage of essential fluids to populations effected by tsunamis, earthquakes, etc..
Capacities range from 2 to 189 m³ (530 to 50,000 gallons). 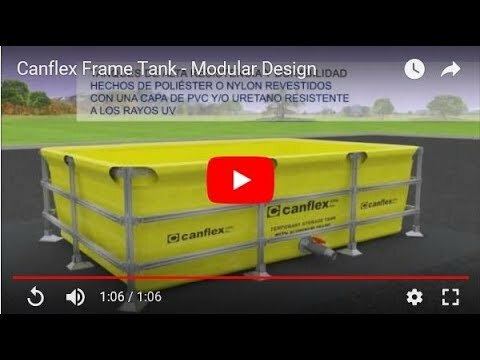 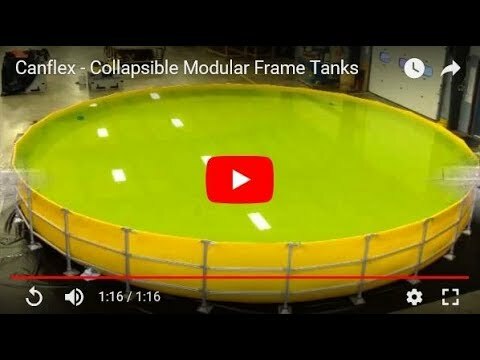 20K Frame Tank @ Canflex Facility.